There are also premade samples included with the installation that you simply open and run. The SDK is very straightforward and intuitive. The image viewer control supports over 100 raster, vector, and metadata formats ranging from PNG and TIFF to DOCX and PDF. An important feature for collaboration is the ability to make annotations. 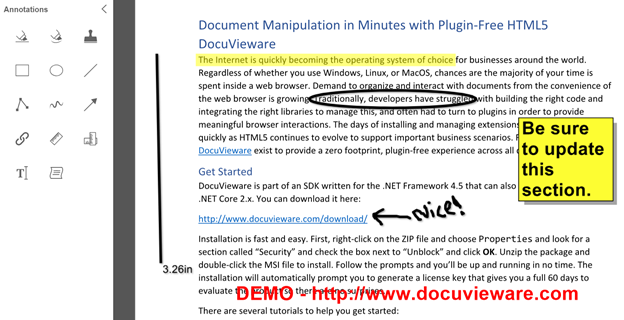 DocuVieware supports annotations with any type of document. You can save the annotated document in PDF or TIFF format to share with others. Here is an example of a Word document for this article that I uploaded and made several annotations to, including highlights, a ruler, circling text, adding a post-it note and free-form drawing. You have full control over various properties including the thickness of the stroke and how transparent the annotation is. 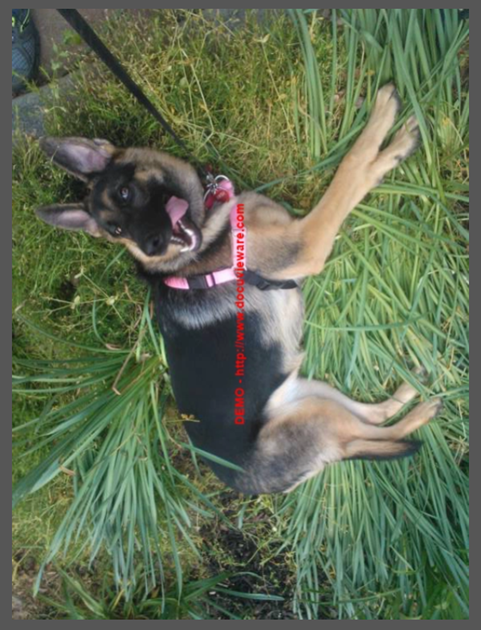 Saving the annotated document is as simple as calling the Save method and passing a handler for success or failure. The tool will automatically prompt the user with a dialog to choose their filename and format to save the document. Portable Document Format, or PDF for short, is a widely adopted specification for sharing documents independent of device or operating system. It is an especially useful format due its support for forms, enabling users to fill out information and even sign documents. 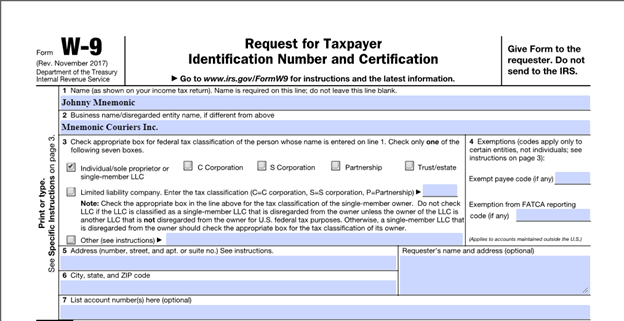 The following is an example of a W9 form used for tax information. 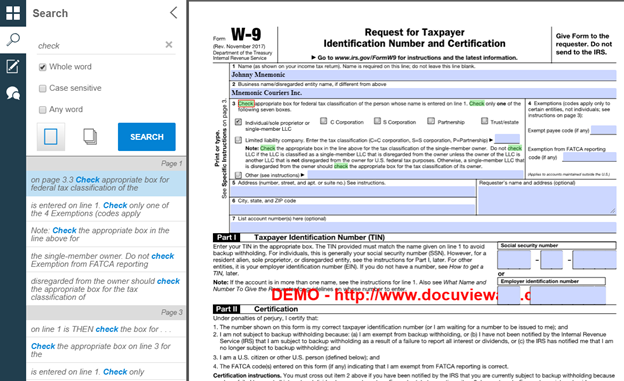 DocuVieware accurately renders the PDF and makes the form fields available to fill out (in the case of name and business) and check (in the case of tax classification). The DocuVieware API also provides support to programmatically access and manipulate form fields. 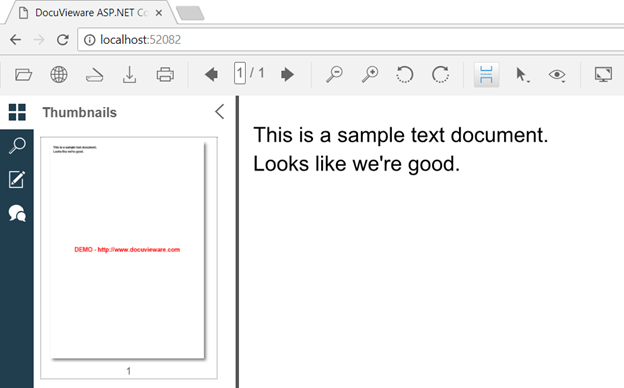 This opens scenarios such as using a PDF document to post information to the server, or pre-populate data on the form based on the logged-in user. 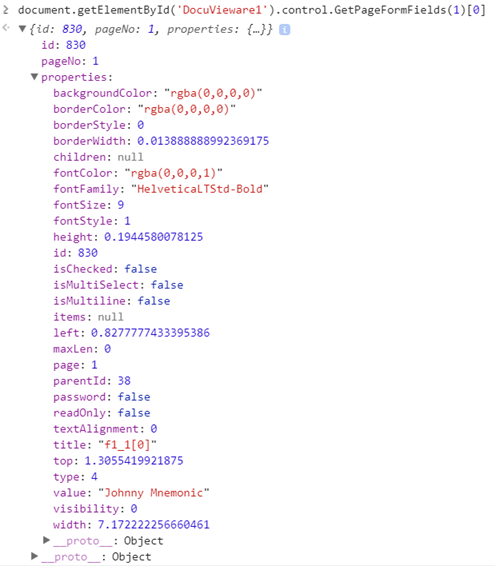 The API call GetPageFormFields returns the array of form items for a page. The following example demonstrates how to access the W9 form fields and what the properties for the first field look like. As with other formats, you can programmatically prompt the user to save the document after it is updated. The user can, of course, use the built-in search dialog to conduct their own searches. Customers need rich document handling capabilities and prefer to have them integrated in their business applications. The web is the primary operating system to run applications and users want their apps to work “as is” on every device they own, from computer to tablet to smartphone. DocuVieware provides these capabilities across any modern browser with fast, clear rendering and an intuitive API that is easy and straightforward to use. The API provides over 2,000 functions that run on the client and/or server. The UI is completely customizable and provides a mobile-friendly experience. You can find this article on CodeProject.